Companions For Life offers only Private or Community cremations. A private cremation means your beloved pet will be the only animal in the chamber during the cremation process. 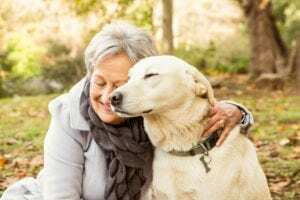 Companions For Life will come to your home or veterinarian’s office and bring your pet back to one of our beautiful, state-of-the-art Cremation Centers. Your pet ’s cremated remains are then returned to you or your veterinary provider in our dignified handcrafted wood urn with a foil name label. A community cremation provides a dignified disposition for the pet who so enriched your life, but the cremated remains are not returned to you because there is more than one pet in the cremation chamber, and there is no precise or ethical way of determining which set of cremated remains are actually your pet’s. With our experienced professionals controlling the entire process, we can ensure that your companion’s cremated remains will be available for return much faster than other providers, typically within days. Because Companions For Life is part of Cedar Memorial and Iowa Cremation, whose heritage is one of compassionately serving families for almost 90 years combined, we can guarantee that your companion will be treated with dignity and respect. We will care for your companion pet with the same reverence as we would any other member of your family. We realize that each family has their own unique set of wishes when it comes to memorializing their companion. Our staff will work with you to tailor a distinctive pet cremation, private family goodbye, or memorial service to help you remember your loved one. We are even able to accommodate families who wish to be present for the cremation process. Please call us immediately at 319-378-8187. We will make arrangements with you or your veterinarian to bring your companion into our care. At the time you are facing the loss of companion there are many unknowns and we always suggest consulting with your veterinary provider. Their expertise in pet health offers great assistance in understanding your companions condition and what may lie ahead. Veterinary professionals have offered tools like this scale to help pet parents understand and assess their pet’s health and their quality of life. As funeral professionals we wholeheartedly understand the many benefits that pre-planning provides and we have created this guide to assist you. The loss of a pet brings about very specific forms of grief. We offer this brochure to help better understand grief and the resources available. All pet parents at some point are faced with the loss of their beloved companion. The unconditional love that our companions give us, is reflected in our deep grief and emotions when they depart. Receiving support from our family and friends is of utmost importance as we begin our journey in grief. Some families choose to have a gathering in memory of their companion which allows for the time to receive support and comfort from loved ones. This can be as simple as a gathering at the family home or place that was special to you and your companion. We offer more information and suggestions on our page Honor the Life. Companions For Life offers a wide variety of urns, memorial keepsakes, personalized paw prints, and other memorial options. Many of these selections are available for order by visiting Memorial Products. Additional service fees may apply for transfer of companions after hours, weekends, holidays or outside our normal operating radius. Call us for accurate information on pricing.